It will happen in Singapore…. We suspect that the Minister for National Development, Khaw Boon Wan has already whatsapp the bureaucrats for an urgent meeting first thing tomorrow morning to discuss on whether the carpark-for-sale scheme could be instituted in Singapore. 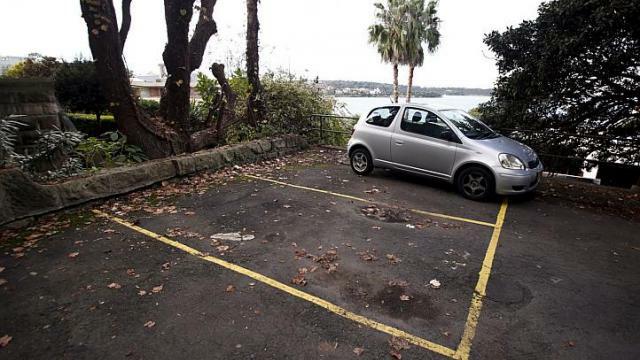 A 12 sq m uncovered parking lot was sold for A$120,000 (S$123,900) in Sydney – which works out to be A$10,000 per sq m for a rectangle of cement. The nondescript parking spot had a reserve price of A$50,000 and attracted interest from neighbours and residents from the building next door. The hefty price tag, however, comes with a harbour view. If you saw public carparks suddenly being built facing Marina Bay, you would know why.